BEWARE of companies that claim to have Oregano Oil with a high Carvracrol content. Before you buy, ask to see the Analysis Report from their latest batch of Oregano Oil. I have done this and not one company replied or was able to supply the report. Please view my latest analysis report here. The same goes for companies displaying Organic and NON-GMO labels. Any one can display logos. Before you buy your bottle of Oregano Oil, ask to see the Organic Certification. Please view by ECO Cert for proof of 100% Certification. There is no such thing as Australian Made Oil of Oregano. The real Oregano Oil is extracted from a true wild, mountain grown Mediterranean Oregano species called Oreganum Vulgare. If the Oregano Oil doesn’t come from there, then it’s not the real Oregano Oil. What companies are doing is blending a ratio of Australian olive oil with imported Oregano Oil. Usually a ratio of 4:1 – 4 four Olive Oil to 1 one Oregano Oil. This ratio makes the main ingredient Australian and allows the company to claim it is Australian Made Oregano Oil. 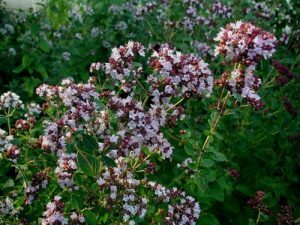 Remember that the Origanum Vulgare species is found only in Turkey and one island of the coast of Greece. NO WHERE ELSE IN THE WORLD! Many other species may have a higher carvacrol level but if it is not the Origanum Vulgare species then we are comparing apples to oranges. This is the real Oreganum Vulgare. Every batch of our Oil of Oregano has been through a complete component analysis at an independent laboratory. Every batch will vary slightly in the Carvacrol content so we make the results available to you so you know exactly what you are buying. Here is my GCA Report for our latest batch of Oil of Oregano. Here is a copy of the latest ECO Cert for proof of 100% Organic Certification. COMPARE our product to “Oreganol – Oil of Oregano – Super Strength P73” and other brands before buying.